Wuthering Heights is Emily Bront 's only novel. Written between October 1845 and June 1846, Wuthering Heights was published in 1847 under the pseudonym "Ellis Bell"; Bront died the following year, aged 30. 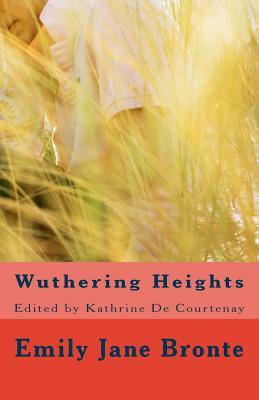 Wuthering Heights is a wild, passionate story of the intense and almost demonic love between Catherine Earnshaw and Heathcliff, a foundling adopted by Catherine's father. After Mr Earnshaw's death, Heathcliff is bullied and humiliated by Catherine's brother Hindley and wrongly believing that his love for Catherine is not reciprocated, leaves Wuthering Heights, only to return years later as a wealthy and polished man. He proceeds to exact a terrible revenge for his former miseries. Will Heathcliff realise that Catherine still loves him before it is too late? Will Catherine forgive him for leaving her alone after her father died?